AS LOW AS: $28.03/box after mail-in rebate - details below!!! DAILIES AquaComfort Plus disposable contact lenses by CIBA Vision. 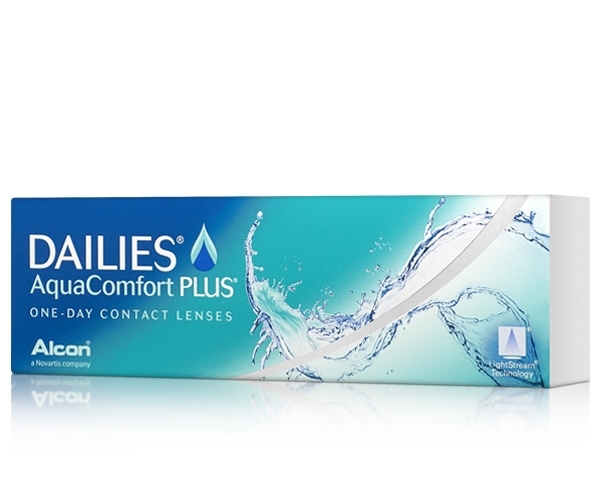 Dailies AquaComfort Plus are the world's first contact lenses with Triple Action Moisture. Moisturizing agents are released over time, providing sustained comfort throughout the day. So your eyes stay refreshed and moisturized, all day long.